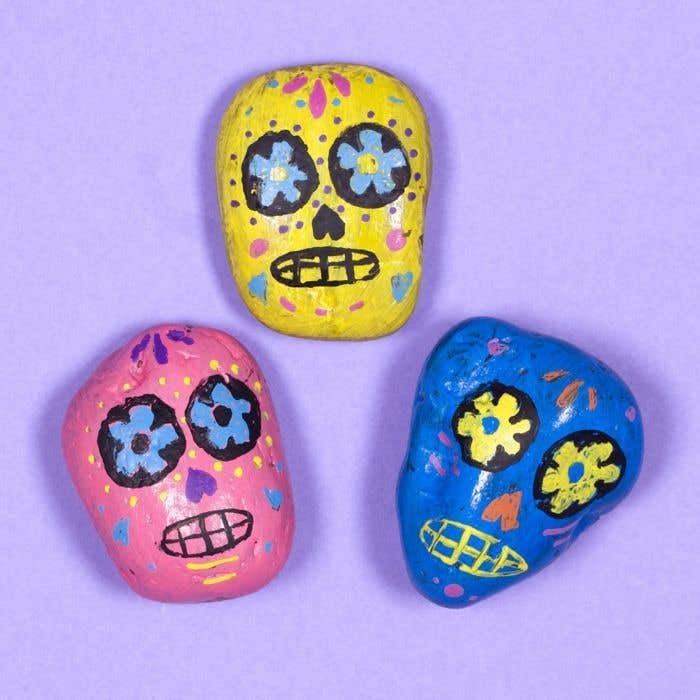 Transform rocks into brightly coloured skulls for Day of the Dead celebrations and Halloween events. Take a stone from the pack, an oval-shaped stone will work best. 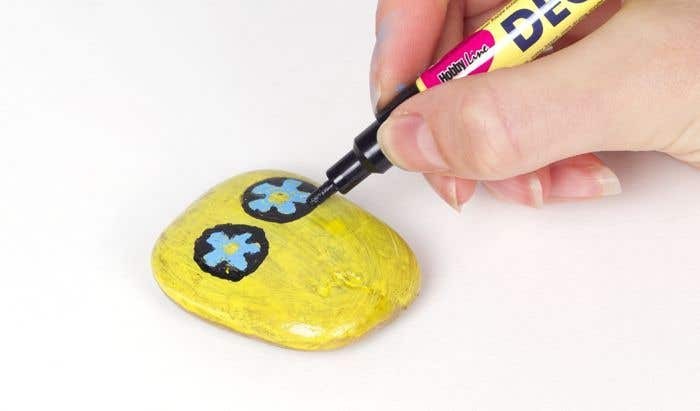 Cover it with a coat of brightly coloured paint. Leave to dry. Add another coat of the same colour paint and leave it to dry. Add another coat of paint if necessary. 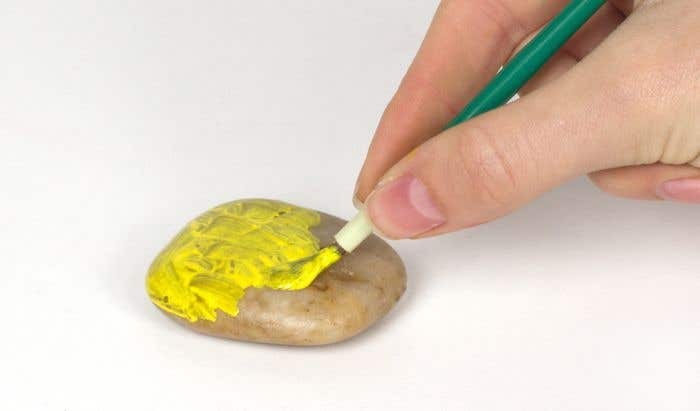 Once dry, draw the eye, nose and mouth shapes onto the rock using a black deco pen. 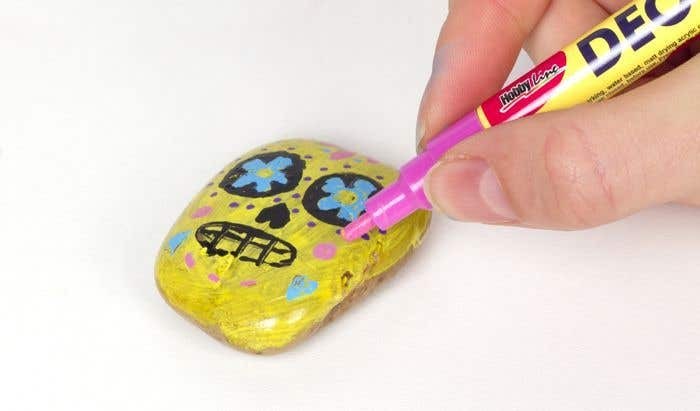 Use other colourful deco pens to decorate the skull with flowers, dots and other shapes. Use contrasting colours to decorate patterns on the skulls.